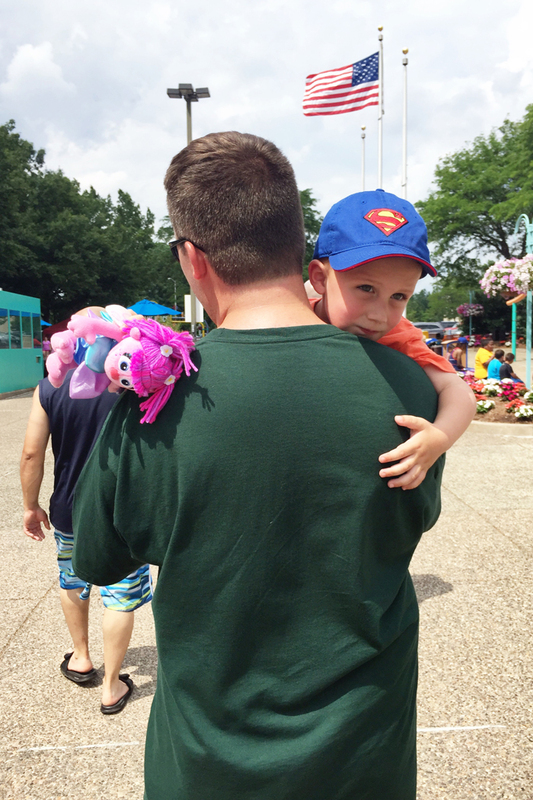 The Adventure Starts Here: Our Weekend with Elmo, Iron Man, and Dory! 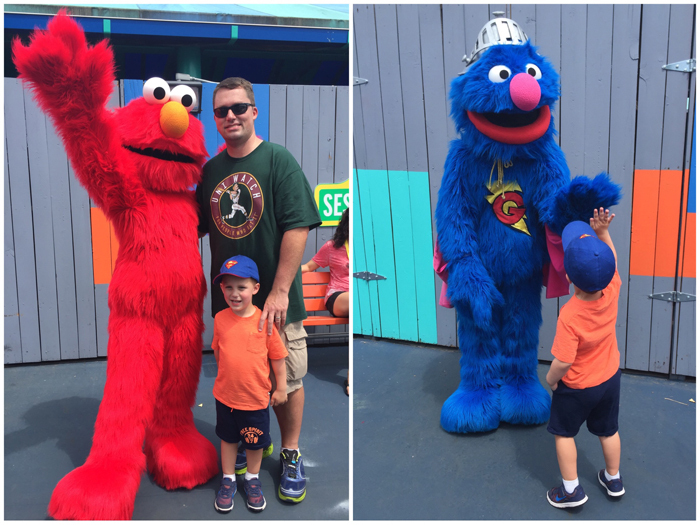 Our Weekend with Elmo, Iron Man, and Dory! 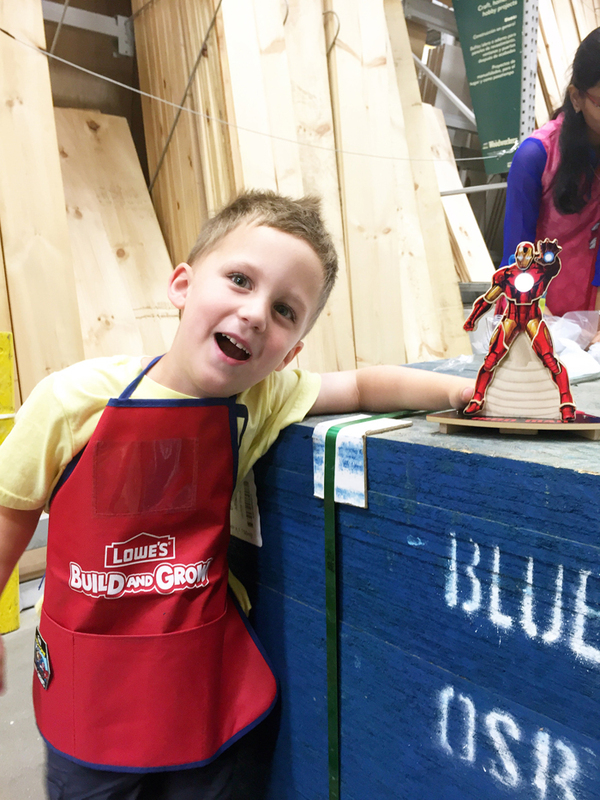 On Saturday, we headed to Lowes for our second Build & Grow workshop. They are doing a superhero theme this summer and this week was Iron Man. Noah was really excited to go since he had so much fun last time when he made Captain America. I was really impressed that Iron Man even had a battery operated light up chest! Saturday afternoon, we headed to a friend's house for a barbecue. It was great to see two of Chris' old roommates since we don't get to see them as often as we'd like. It's also fun because one of them has a daughter who's just a year older than Noah. They've gotten along well together in the past, but we were especially impressed at how well they played together this time. 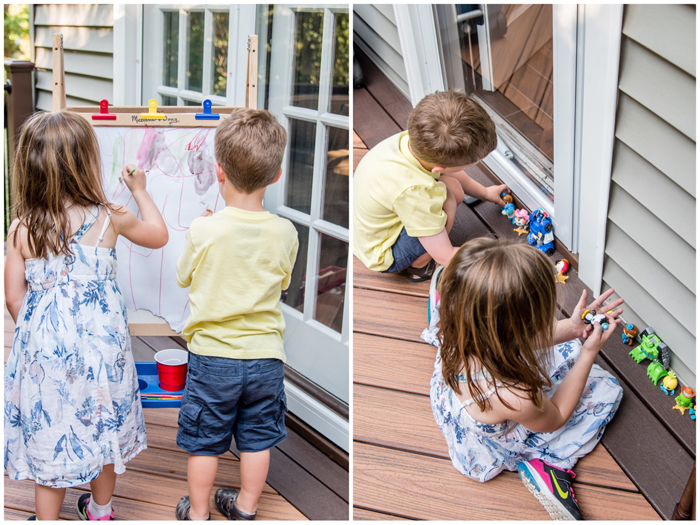 They played on her swing set, played with the little figures Noah brought along, created countless masterpieces on the art easel, and she even showed Noah her many many Barbies! We were all having so much fun that we stayed much later than any of us expected. I'm not used to these late nights! On Sunday morning, we headed to a MOMS Club event at our local movie theater. We were able to have a private screening of Finding Dory. While Noah hasn't seen Finding Nemo yet, he was very excited for it since he's seen the commercials and merchandise and is very interested in sea creatures (because of Octonauts). While this was Noah's second movie in the theater and I was confident he'd do well, I was relieved that we were seeing it with a bunch of other young kids who would also be asking questions throughout and may get a little restless. We all really loved the movie and I would definitely go see it again! Now I want to get Finding Nemo cause I'm pretty sure Noah would love that one too! We spent the rest of the day just hanging out. I got a pretty bad headache and Noah was definitely in the mood to just stay home. After a busy Friday and Saturday, it was exactly what we all needed! What were you guys up to this weekend??? I've heard sometimes kid's fear factor can kick in around this age. Liam is a pretty fearless boy, but I still talk about things a ton before we do them so he always knows what to expect! Sounds like such a fun place! Such a fun weekend! I couldn't agree more that three day weekend are the way to go. I am SO stinking excited about next weekend too. It is going to be AWESOME... as long as it doesn't rain. 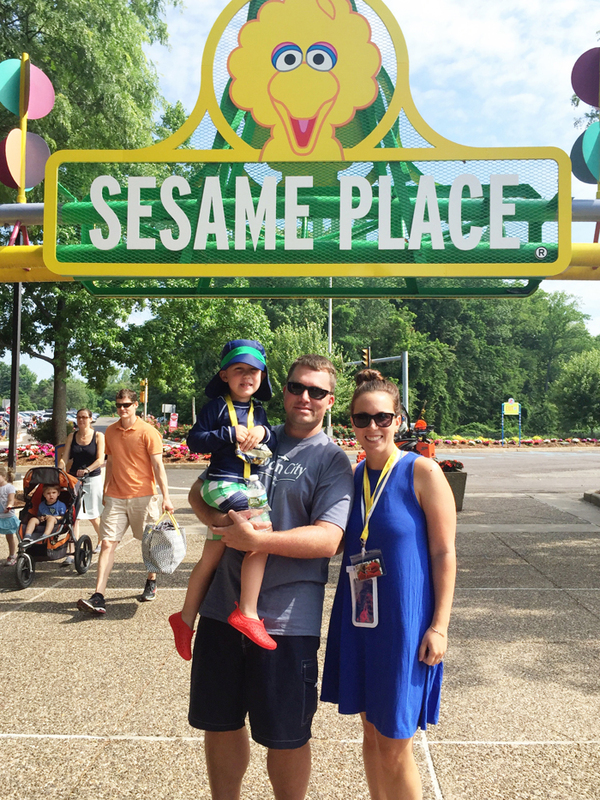 Marissa would have LOVED Sesame Place when she was Noahs age too. She had a brief elmo OBSESSION. So fun to have it close by. I used to love Sesame Place! We used to go hang out in all the pools where you just walk on in and don't have to wait in lines! Oh I forgot all about the Lowes kids workshops! We try to go to the Home Depot one so I'll have to remember to check out Lowes! How perfect is that picture of Noah wearing his Superman hat below the American flag?! Love. Three day weekends are the way to go. What did you think about Finding Dory? We have yet to go. 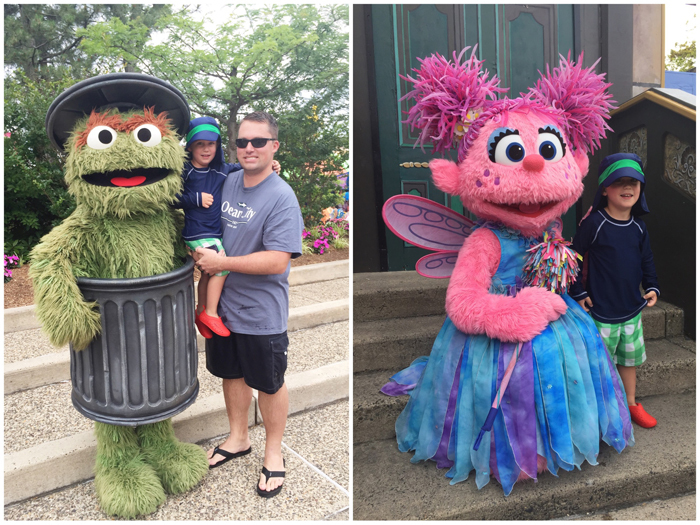 I love that you have Sesame Place so close and can go so often! It's kind of like your Disneyland - characters and all! Sounds like a great weekend! You had a fabulous weekend!! 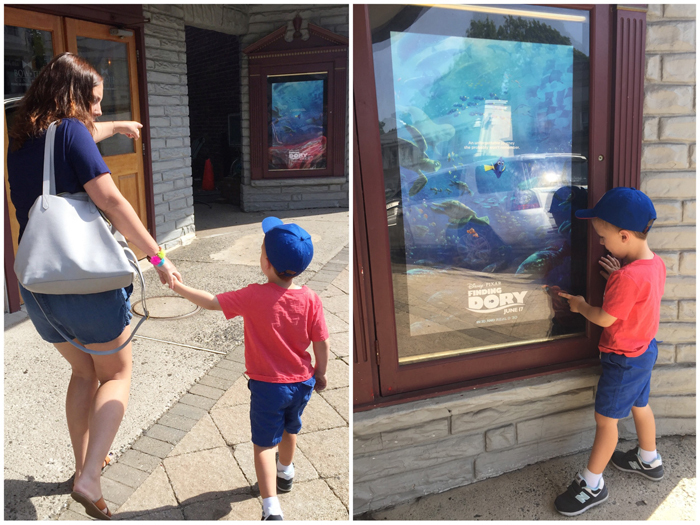 We went and saw Finding Dory on Sunday, too. I love going to the movies and this is Connor's 6 or 7. I need to figure it out now that you mentioned this is Noah's 2. You guys find the coolest places. Sesame Place sounds like a blast. Glad y’all were able to back with Chris. Love the photo of you three! We want to see Finding Dory, but haven’t had a free weekend since it came out! And we don’t have another free weekend until August. I wonder if it will still be in theaters then? Looks like y’all had a great weekend! It is interesting to see how kids ride things year after year. When we took Aria to Disney at first she was good with anything, then things in the dark were a little scary, and now she has discovered her love of going fast! When we saw Finding Dory it was with a full theater of kids, so it was nice to not be the only loud whispered questions and squirms. 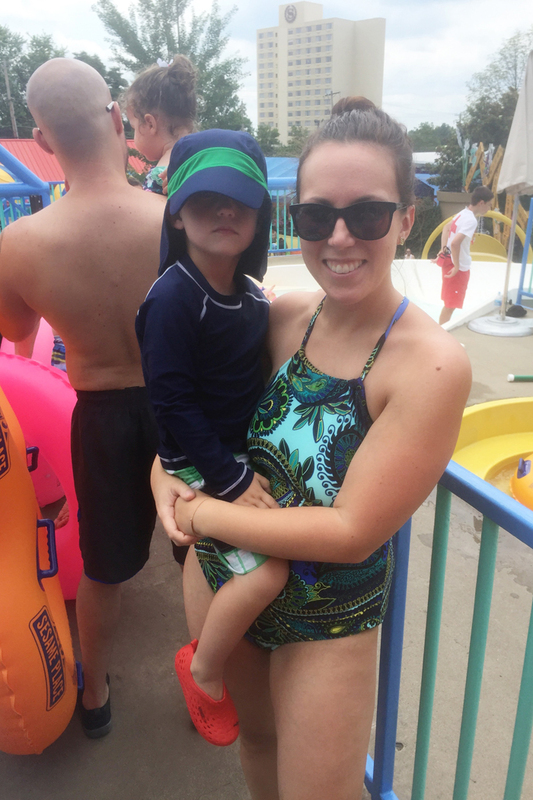 Mommy Style | Summer is Here! A Weekend Full of Digging!